Icelandic Sea Salt - 8 oz. Tellicherry Pepper - 4 oz. Savor these regional treasures and add distinction to your favorite dishes. Organic aromatic Tellicherry peppercorns are handpicked in the famous Wayanad pepper growing region of India and hand-harvested all natural salt from the Norwegian Sea. Dimensions (in packaging): 8" x 5" x 3.5"
This is a real good addition to my cooking supplies. Very good. Vonderful, dahlink ! . . . . . 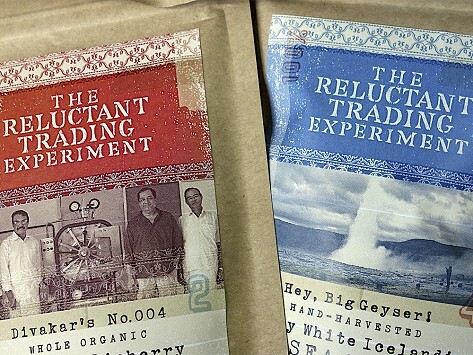 The Reluctant Trading Experiment imports organic, fairly traded Tellicherry peppercorns and pure Icelandic sea salt and, despite the name, it does so enthusiastically. Whether at home, or in a Michelin starred restaurant, the right seasoning can be the difference between a good meal and an outstanding one. Scott Eirinberg, the founder of the Reluctant Trading Experiment, had a background in upscale children’s furnishings. 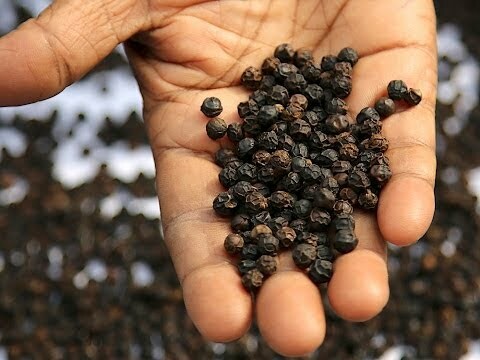 But, after selling his former company Land of Nod to Crate and Barrel in 2010, he was persuaded by a colleague to try some organic Tellicherry Peppercorns that were grown and fairly traded in Kerala, India. Tellicherry what? Scott was “reluctant,” at first. But one delectable tasting and he quickly became convinced to spice things up with a new business venture. It wasn’t long before Scott went in search for some distinctive sea salt to pair with his Tellicherry. He found what he was looking for in the Norwegian waters off Iceland where the highest grade salt is ecologically harvested. Grind, sprinkle, and savor the flavor. Bon Appetit!